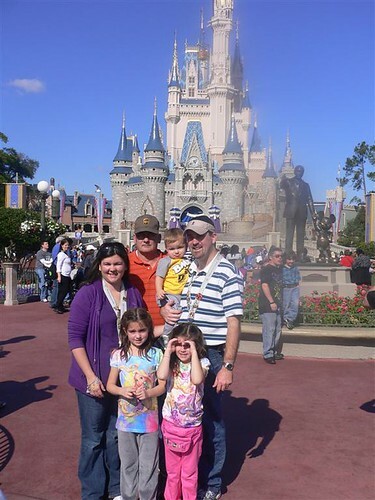 This morning we met Pawpaw, Uncle Charlie, Uncle Joshua, Aunt Sarah, and Cousin Connor at the Magic Kingdom for some fun. 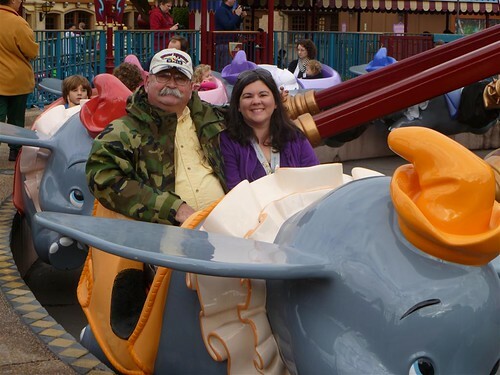 First thing we did was ride Dumbo because for some reason it always has a long wait. I ended up riding with Uncle Charlie and somehow we actually fit! 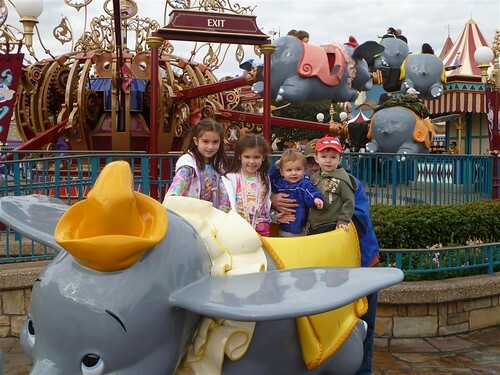 After the ride, the kids posed for a photo in the Dumbo cart. After Dumbo and Peter Pan met Rapunzel and Flynn Rider. 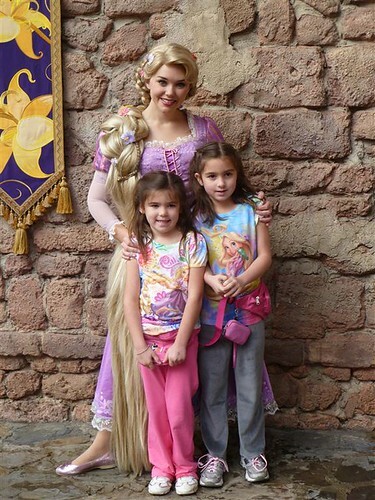 I think they are trying out their new interactive character meet and greets that they have planned for the Fantasyland expansion because instead of just herding us all through to pose for a photo and get an autograph, the kids were able to color a photo of Rapunzel and then, Rapunzel and Flynn Rider came out and danced with the kids while the parents waited in line to hold their place. It was fun. 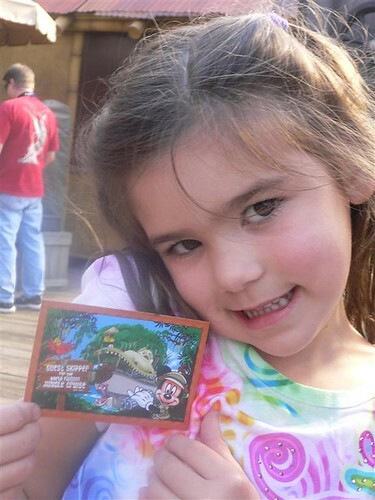 The cast members also played little games with the kids once they moved to the line with their parents. 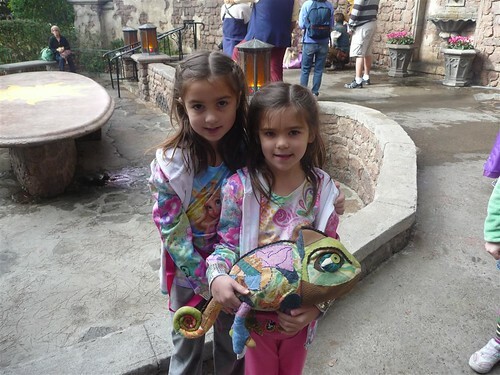 Here are the girls posing with Pascal. 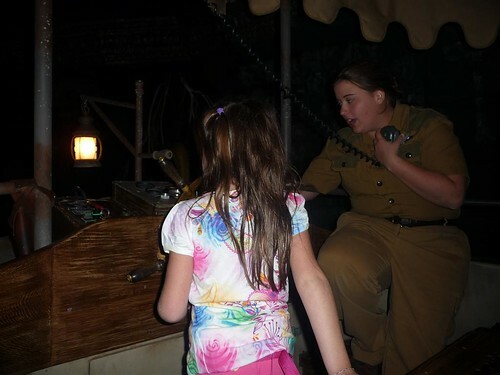 Another highlight of our day was that Anna got to drive the Jungle Cruise boat. 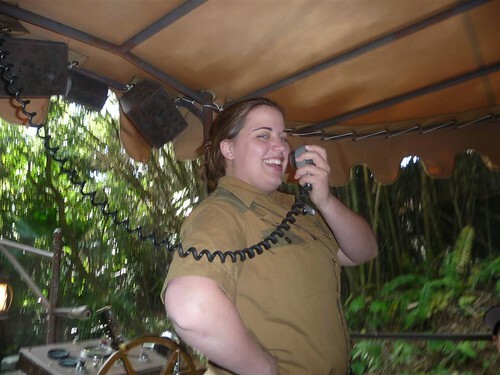 After she was done, the skipper presented her with an honorary license to drive any boat in the Magic Kingdom. This was our Skipper. She was the best one we have had in probably four years. 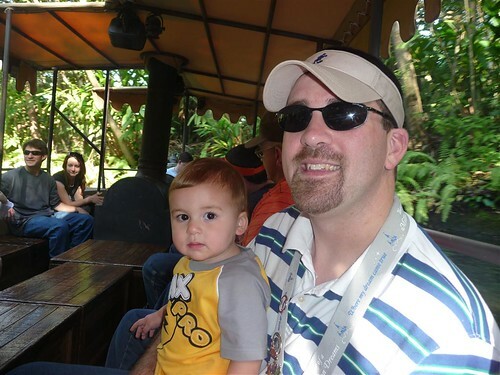 I am not a fan of the Jungle Cruise unless we have a really good skipper. And this lady is one of them. The only bad thing about the day was the crowds. With it being a holiday weekend the crowds were horrible. 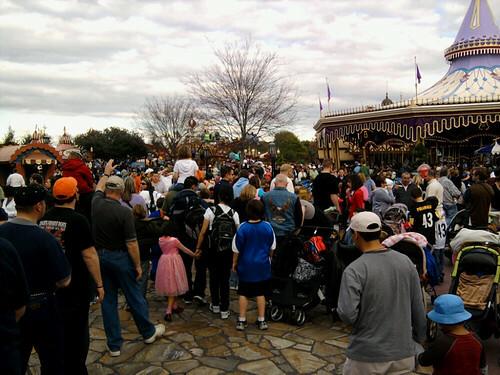 This was probably the most crowded I’ve ever seen the Magic Kingdom since we don’t go during the summertime. Even though it was crowded, we had a great day!